Arthritis impacts the lives of nearly 52 million American adults. From this statistic, about 41 per 100,000 people are diagnosed with rheumatoid arthritis an autoimmune disease that attacks the tissues surrounding the joints in our bodies. This disease impairs the body’s immune system and its ability to protect against the attack of foreign cells, such as bacteria and viruses. As a result, the confused immune system develops antibodies and attempts to destroy the bacteria – using up the body’s natural energy sources which eventually weaken the musculoskeletal structure. It is unfortunate that rheumatoid arthritis is not a localized disease of the bones and joints. It disturbs tissues throughout the body, causing damage to blood vessels, nerves, and tendons. Deformities of the hands and feet are the more obvious signs of RA. 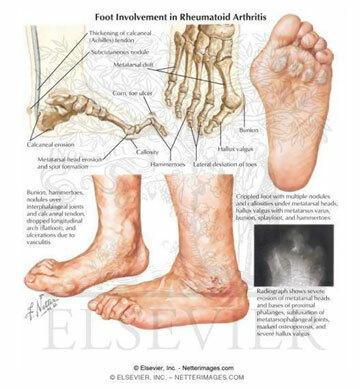 In about 20 percent of rheumatoid arthritis patients, foot and ankle symptoms are the first signs of the disease. Rheumatoid arthritis of the foot and ankle can become so severe and painful that it may affect the appearance of both feet. Thus, the end result may make the feet appear swollen, twisted out of natural alignment, and joints may become disabled. What is Rheumatoid Foot Deformity? 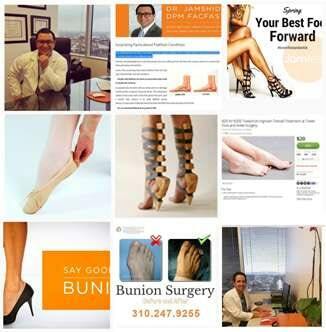 Our foot and ankle specialist puts his best foot forward to treat those who suffer from rheumatoid foot deformity. Rheumatoid foot deformity is a progressive case of inflammation and destruction of growth cells within foot joints that eat away at healthy bone and cartilage. As a result of this, the foot joints lose their shape and alignment causing them to appear severely deformed. These deformities eventually lead to loss of healthy bone and cause the joints to collapse. At first, patients with RA might notice that the small joints in their feet experience questionable sensations of warmth, stiffness and swelling. These symptoms flare up every now and again, which last anywhere from a couple of days or for a few weeks before receding. Eventually, the symptoms will progress to the larger joints within the foot. It is a saddening statistic to report, but 60 percent of people with inadequately performed treatment may not respond to treatment after 10 years of the initial signs of RA. The most common symptoms of RA-related foot problems, in addition to the abnormal appearance of deformities, are swelling, pain, joint stiffness and difficulty bearing weight on the front of the forefoot. Unfortunately, there is no cure for rheumatoid arthritis, but many methods of treatment are available to help the reduction of inflammation and control pain for this disease. Rheumatoid arthritis is often treated by a team of professionals and at our facility we can evaluate and prescribe the best treatment techniques that revolve around the complexity of your case. At first, we recommend a series of non-surgical treatments until they are exhausted, which many treatments will depend on the location of pain and the extent of cartilage damage. Nonsteroidal Anti-Inflammatory Medication (NSAIDs) – Pain relievers and anti-inflammatory medications are used initially to reduce swelling and painful conditions. Foot Orthotics and Braces – Your surgeon will often match patients with custom orthotic devices to provide cushioning for rheumatoid nodules, reduce pain while walking and provide support to improve foot mechanics. Rocker Bottom Shoes – Your surgeon may prescribe you with good rheumatoid arithmetic shoes, such as Rocker Bottom. Footwear such as this will provide extra depth padding with removable insoles. Proper arch support, outsole cushion and progressive shock absorption all aim to decrease foot joint strain and prevent new damage from developing. Stress Joint Reduction Activities – Regular physical activity from exercise, yoga and meditation can be performed at work or home and wherever you may be. Steroid injections – Steroid injections of anti-inflammatory medication may be administered directly to the inflamed Metatarsophalangeal joints or to rheumatoid nodules. Platelet Rich Plasma Therapy – PRP therapy uses a patient’s own blood to relieve pain by promoting long-lasting healing for musculoskeletal conditions, especially rheumatoid arthritis. Concentrated platelets that contain proteins, including proteins initiate tissue repair and regeneration to stimulate the healing process. If conservative methods recommended by Dr. Jamshidinia did not promote any healthy progression then it may be necessary to utilize surgery for reconstructed mobility. Pan Metatarsal Head Resection is the surgical procedure performed for patients dealing with severe pain and deformities. This approach in surgical correction provides the surgeon with good wound exposure and minimal scar contraction, which means a small recovery period of six weeks. At this time patients will be ambulatory, which will give them the freedom to remain mobile while allowing the surgical repairs to heal. No longer will patients have to worry about being bedridden for months on end; Dr. Jamshidinia is here to help you get your walking shoes back on quickly. Why Select Dr. Jamshidinia for Rheumatoid Arthritis Treatment? 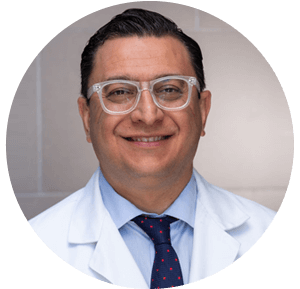 Dr. Jamshidinia may recommend several variations of conservative treatment that is effective for your rheumatoid arthritis case, which is why Los Angeles patients turn to him for help first. They know that surgery may not be needed for low-level symptoms and our doctor makes every patient feel comfortable to know that they will live pain-free in a short period of time. At Tower Foot and Ankle Surgery our board certified foot surgeon is available to diagnose and treat any discomfort. If you have questions about rheumatoid arthritis or suffering from any of the symptoms listed here, feel free to contact us online or schedule an appointment by calling (310) 247-9255.